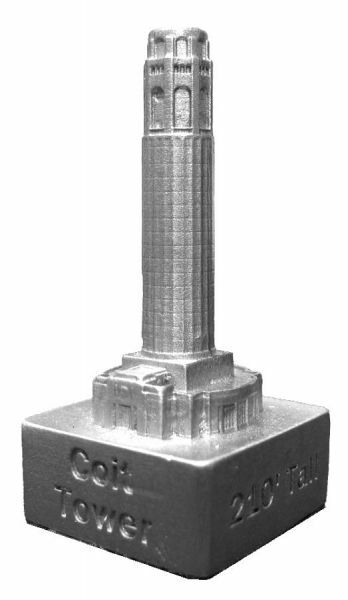 Coit Tower is located in the Telegraph neighborhood of San Francisco, CA and was completed in 1933. This building was designed by Arthur Brown Jr. and Henry Howard and stands 210 feet tall. This pewter replica stands 2-1/2 inches tall and is finished in new pewter. This model's scale is 1 inch = 100 feet.